We Indians love our cup of smoking hot tea. It is no wonder then that India is amongst the top producers of tea in the world. More than 70% of the tea grown in India is consumed by us. India is known to produce the finest quality of tea – one of the reasons why, in recent times, tea tourism has really taken off. When talking about tea tourism, most would think of it as staying in lush tea gardens and tasting tea. It is much more than that. The ambience around the tea gardens is simply stunning. Just picture this: sitting in the morning sipping on a hot cup of finest tea, hearing to the melodious song of birds, watching the tea plantation workers pick tea leaves, taking a stroll along the garden to discover a stream flowing by. You are assured of having a blissful time! The peak of tea tourism is during November-March. So, which are the best destinations to enjoy tea tourism with all its highlights? Here are some not to miss destinations. Darjeeling, West Bengal: Take a ride in Darjeeling Himalayan railway from New Jalpaiguri to reach Darjeeling. It is the land of great tea gardens. Did you know? 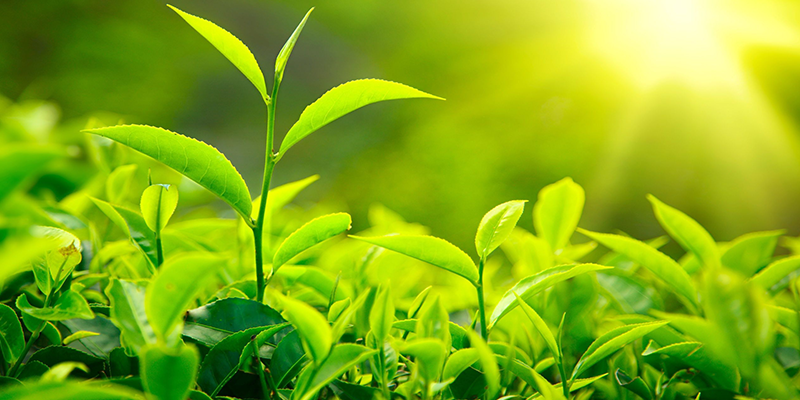 More than 25% of India’s total tea produce comes from Darjeeling tea estates. The Darjeeling tea is light coloured and fragrant. Happy Valley Tea Estate, one of world’s highest tea estates, organizes tea tours and allows visitors to book guest rooms. The tea estate was established way back in 1854. Apart from this there is the beautiful Glenburn Tea Estate that also provides good eating along with tea tours. Jorhat, Assam: Situated on the Brahmaputra Valley in Assam, Jorhat is often referred as the “Tea Capital of the World”. Assam tea is brightly coloured. Live amidst the Gatoonga Tea Estate at Banyan Grove. The tea estate was established more than a century ago and offers colonial styled guest rooms. While staying at the tea estate you will be able to enjoy life at the tea gardens and visit factory to see through the various stages of tea making. It is only a short distance away from Jorhat railway station. Apart from this Wild Mahseer lying beside the Addabarie Tea Estate is also a picturesque tea tourism destination. 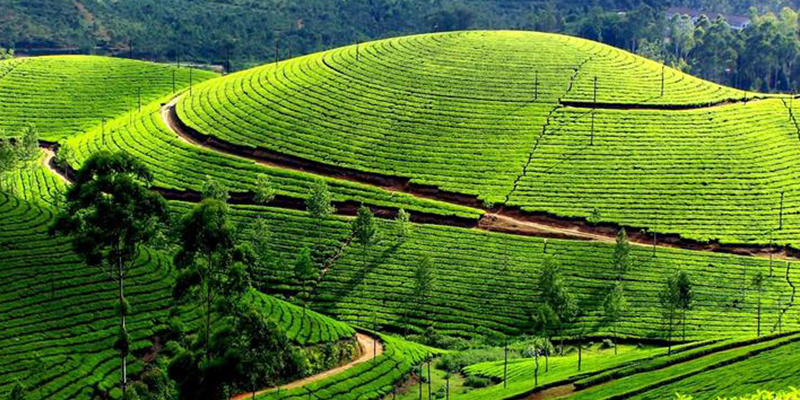 Munnar, Kerala: As you enter the popular hill station in Kerala you will be greeted with miles of lush tea plantations. 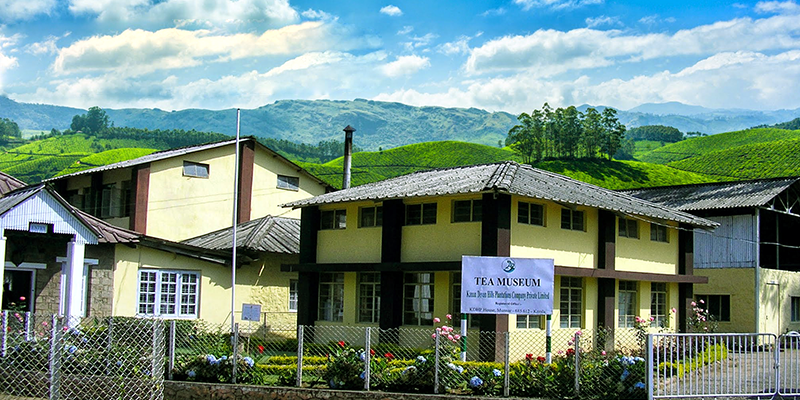 It is also home to India’s first Tea Museum, situated in Nallathanni Estate. Visitors can take a look through the history of tea production in India. Apart from this you can visit Kundale Tea Plantation which is surrounded by a lake and witness the tea picking and making process, while there stay in the old colonial bungalows at The Tea Sanctuary. The tea plantations are only a short drive from Aluva railway station. Conoor, Tamil Nadu: Take the Nilgiri Mountain Railway from Coimbatore to reach Conoor. This region in Tamil Nadu is well known for its dark and aromatic variety of tea. Tea growing is the most important industry of the region and has been ongoing for more than a century now. An ideal tea tour here should start with a visit to the Highfield Tea Factory where you can view tea manufacturing. Then visit Tranquilitea Tea Lounge where exotic Niligiri tea is served. There are tea tours organized here. 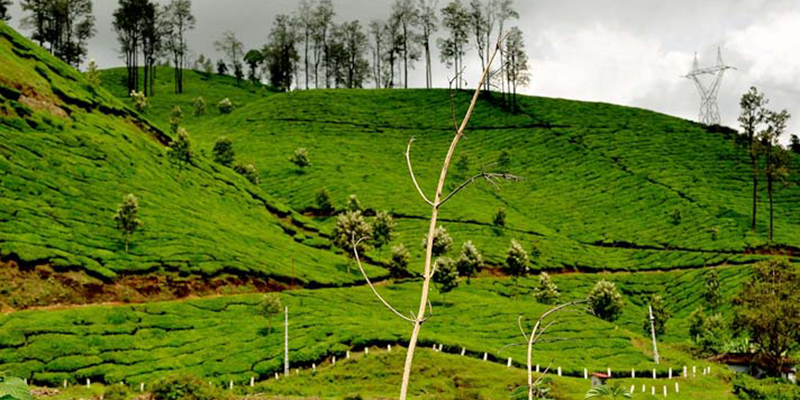 Tea Nest situated in the Singara Tea Estate is the best place to reside while in Conoor. Palampur, Himachal Pradesh: Known as the Tea Capital of North India, largest tea plantations in the region lie on the lap of Dhaula Dhar Mountains. 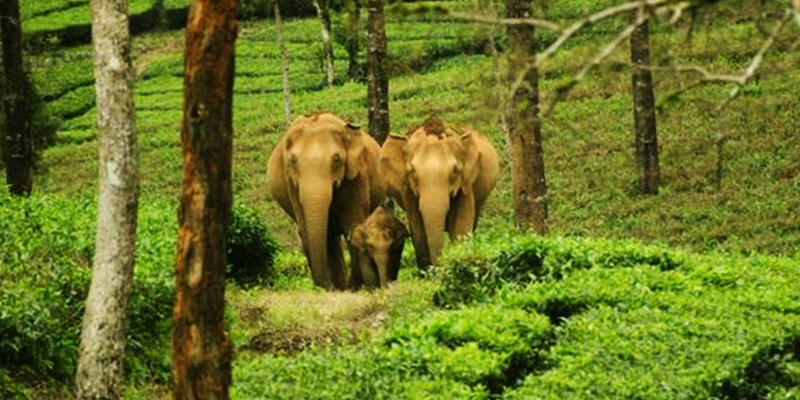 There are many home-stay options available nearby the tea plantations. 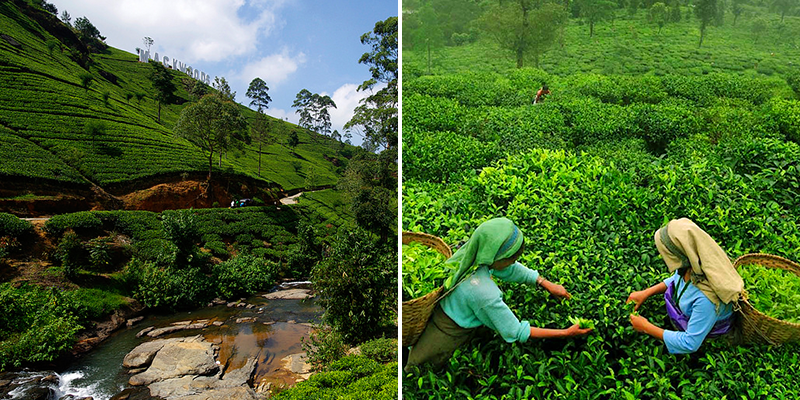 The tea plantations here are especially beautiful with pine dotted landscape and slopping tea gardens. Home-stays will come with tea tasting sessions of especially handmade sun dried pure china hybrid tea. Board the Kangra Valley Railways from Pathankot to reach Kangra. Tea estates are short distance from the railway station. If you are bored with busy and noisy life, then these destinations are a must visit. Enjoy the hills with sloping tea plantations with majestic hills and mountain peaks as their backdrops and small winding streams passing by! Blissful, isn’t it? Previous articleCelebrating the rivers – Jal Mahotsav!